You're not treated like just an account number. You are an important person, and they're all there involved with you every step of the way. White Coffee always pays attention to your needs, and they always makes sure to keep your business grow. They know the business inside and out and they listen to your concerns and help you to give you different ideas actually help the business. "It has always been a pleasure to deal with White Coffee. Service is impeccable. Whenever I call for an issue, they are at my business either the next day or within a few hours." "White Coffee has been serving servicing Omnipak; they roast all of our American coffees. Dealing with White Coffee has been great. White Coffee always roasts the coffee on demand for us, and the coffees always delivered on time." around. They really service my needs and I can grow with White Coffee." "White Coffee's been an excellent provider for us; a vendor that we can always count on. 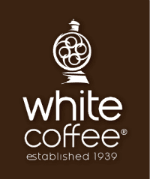 We’ve been doing business with White Coffee for over 20 years. The services and their personnel take their job very seriously. It’s been pleasure doing business with them."